One of mother’s sisters was married to a local German and he had agreed with my father to put me in his family. The German tried to save my father from the mass murder, he “made documents” showing my father accepted [Christian] baptism, but it didn’t help. Who did the shooting? Was it the Nazis or local people? Who else? Locals. The German commandant of Marijampolė just supervised. The Jews themselves dug the pits. Three trenches were dug. Eight thousand Jews and two thousand people of other ethnicities were shot. In a word, 10,000 people were shot. That happened on September 1, 1941, when it began… They shot for several days. The Šešupė river flowed with blood. My mother was a Lithuanian. They took her as labor to Germany in 1942, she left me with her girlfriend, I was one-and-a-half. My mother was young and beautiful. Her surname was Segalienė. She got married to a second husband and became Miliauskienė. My stepfather gave me his surname, he raised me, I became Miliauskas. I didn’t want to hurt him by changing the surname back to my own, Segalis. My stepfather and I had agreed if he died before I did I would take back my surname. And that’s what happened. I was far from the home of my birth for 15 years, I worked and served in the army. 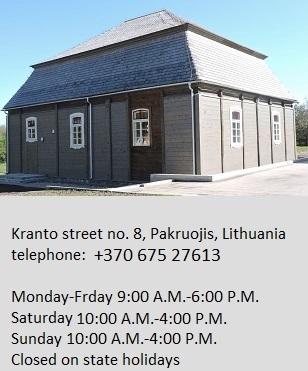 I came back, I married my beloved woman Marytė in Marijampolė who grew up in Kalvarija, I knew her since childhood and we were friends, she lived in a house next to the Kalvarija synagogue complex, right next to it. Jews lived here until the war, prayed, worked and had fun there. My father worked at an oil factory for Manashke, that’s what everyone called him. Tell us what Kalvarija was like before the Holocaust, what you know about it. The synagogue complex alone shows there must have been real and interesting Jewish life there. There were more Jews than Lithuanians in Kalvarija before the mass murder. 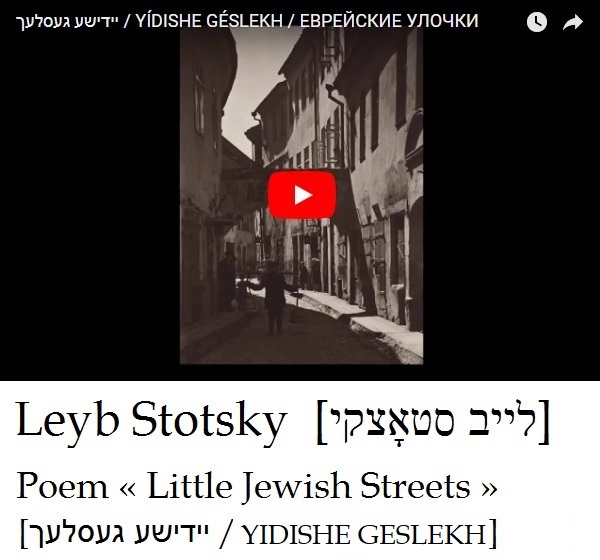 Almost all the shops belonged to Jews, the industrial workshops belonged to Jews, both the town’s doctors were Jews and the lawyer was a Jew. The “oleinicha” (oil factory) stood in the center of town. They expressed oil from flax seed. The factory wasn’t large. There was also a soda shop. Older people still understand Jews held [supported] all of Kalvarija until the war. My grandfather, my father’s father, was a watchman at the Jewish cemetery. My father had a sister, she was shot with her small child, all of my relatives were shot. How did the town of Kalvarija go on after that, since the people knew who had shot their Jewish neighbors? Jewish houses and property remained. The houses and buildings are still standing now. 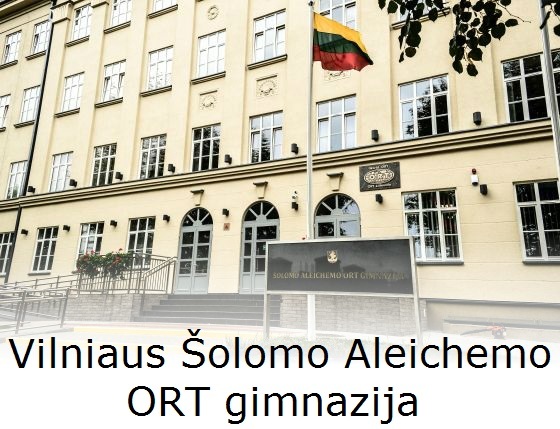 What the Germans didn’t take, the Lithuanians did. Some fled with the Germans, others went somewhere else. There are none such people left remaining from that time. About the maintenance of the surviving synagogues of Kalvarija, did anyone remember them, did the local residents care about them? What we know so far seems to be that the majority of residents of Kalvarija aren’t interested in the opportunity to preserve this unique heritage for future generations. The synagogues stand as they did, abandoned and in ruin. I have lived in Kalvarija [again] since 1970. The Kalvarija synagogue complex, entered on the registry of state-protected cultural treasures, is a unique heritage site. It should be renovated. I am overtaken by excitement at the synagogue sometimes when someone comes to perform a concert and a Jewish melody is heard. 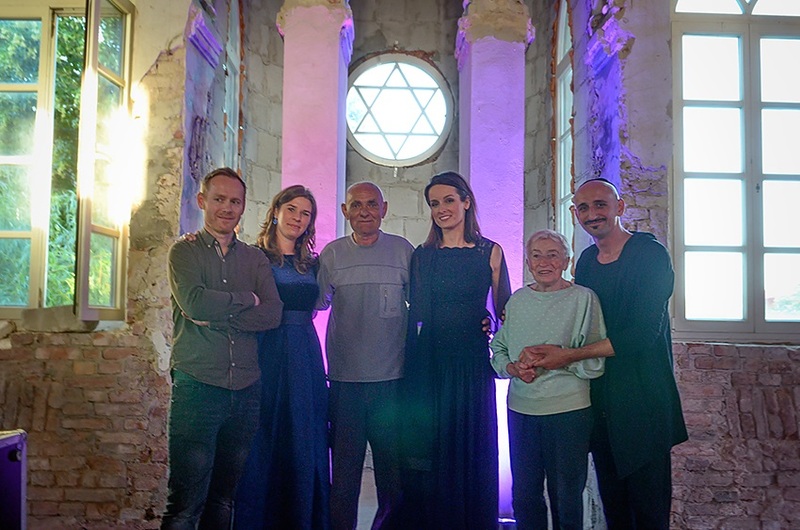 Maushe Segal center, wife Marytė second from right, with singers following the Vocal Varshe concert at the Kalvarija synagogue in 2018. As a child there was no one to tell about Jews and their life. No one spoke about that then, people were afraid. 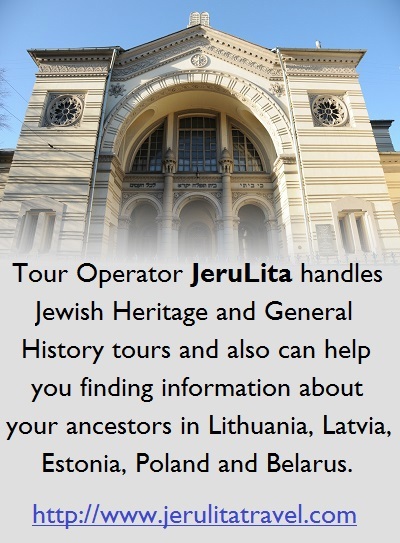 Do you think the people of Marijampolė and Kalvarija will ever take a deeper interest in the history of the Jews who lived here, will they ever be remembered? I can say people seem to tolerate Jews a lot more now than before. There are no Jews left so no one maintains the cemetery now. 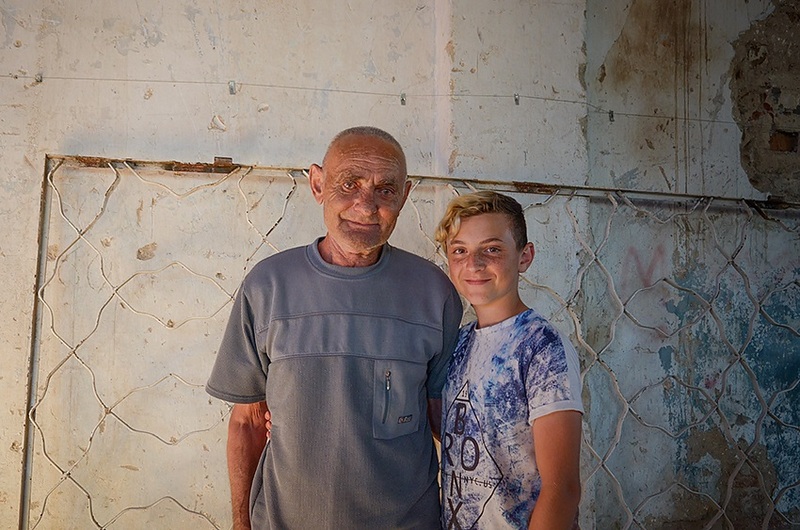 We had a teacher named Totorius at the Kalvarija school who took students to clean up the cemetery, he organized the children, the headstones and cemetery was looked after, but after he retired no one cared anymore. The headstones are overturned. Are you surprised people aren’t interested in the history of their home town? Others do know, but don’t want to know. 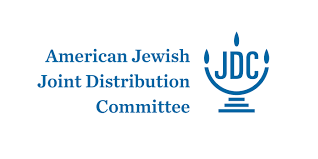 Anti-Semitism is alive and well. 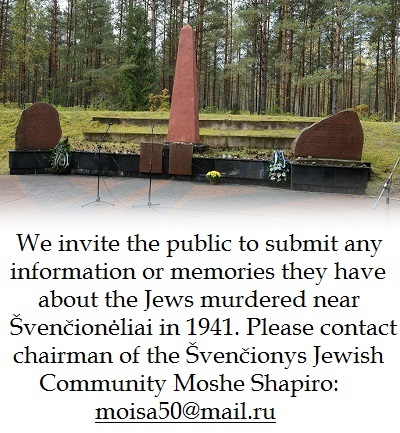 The Lithuanian Jewish Community supports and cares for Maushe Segal along with other Holocaust survivors. You might see him walking in Kalvarija with a walking stick. Currently his wife Marytė, herself ill, is caring for him at home. She had a stroke several months ago.